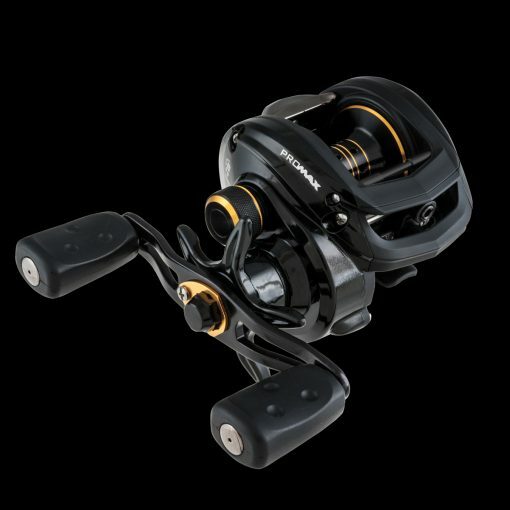 The Pro Max™ is the top of line Abu Garcia Max series reel which features seven smooth bearings plus a corrosion resistant instant anti-reverse bearing. The graphite side plates and frame create a truly lightweight reel weighing in at a mere 220g. Performance and toughness are hallmarks of the Max family. Using advanced new technology and materials, the new Pro Max is precision engineered with a smoother feel and increased performance on the water.